GradeMiners was founded in the US to help local and international students struggling to write academic papers. We started to hire academic writers with degrees in various disciplines. We also launched 24/7 Customer Support. In just 3 years, we’ve been able to grow the customer base to 20K new clients and 2000 academic writers in 25+ subjects. To make sure our papers are up to the mark, we’ve started the in-house Quality Assurance Department. We launched the rush order service offering students to write their papers in less than 6 hours. 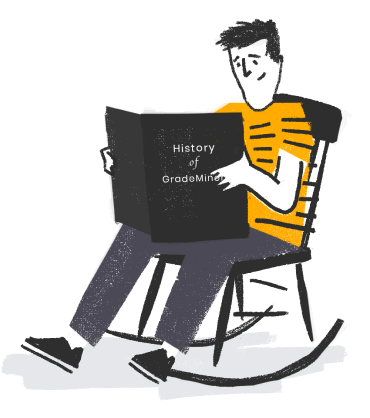 GradeMiners is a huge marketplace for expert academic writers. Over 300 orders are completed per day in the high season. What You’ll Get at GradeMiners? You want an original and mistake-free piece, and we are sure you are capable of writing such paper yourself. You just don’t have the time. We have over 1,200 trained and certified writers to help you out! Our Customer Experience Team is here to ensure your smooth user experience. Our job is to collect and analyze customers’ feedback, come up with new features, and work hard to improve the website. We keep the quality of writing high, so every paper is authorized by the our Team before it’s brought to you. We ensure the writer addresses all the points on your assignment brief, the paper is topic and level-relevant. We know you might need fast help with your paper, so our friendly Customer Support Team is on call 24/7, providing you with guidance as to the ordering process. We are waiting to hear from you any time! All of the experts on our team are pre-screened and have over 4 years of experience in helping students achieve academic success. See how we select our employees.